You'll never want another store bought peanut butter cup once you've tried this amazing treat. 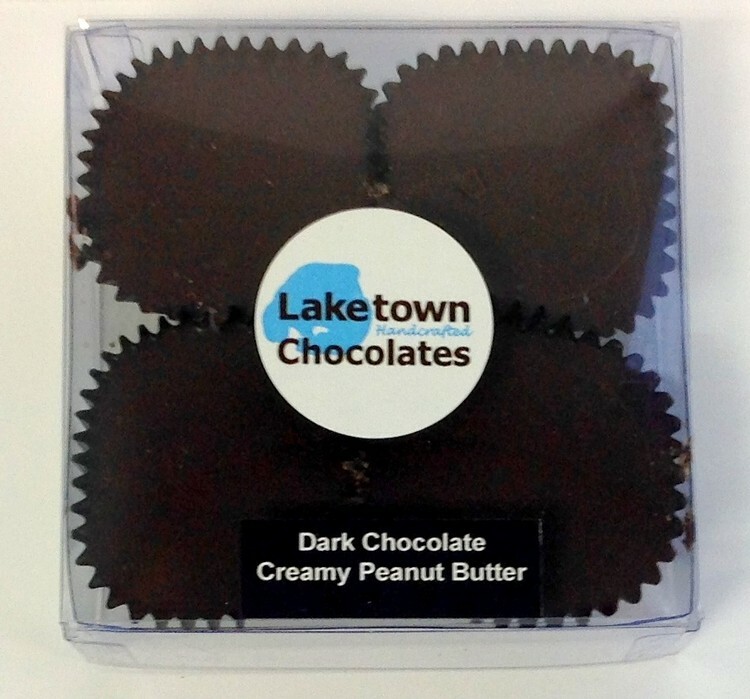 4 of our homemade peanut butter cup confections, made fresh with creamy peanut butter and dark chocolate candy. Packaged in clear box. Bet you can't eat just one. Also available in: White or milk chocolate; creamy or crunchy peanut butter.